It’s Halloween this month, so I went with a spooky choice as my Book of the Month pick—THE SCRUBS. This is also a title of mine which has fallen between the cracks with readers and I hope you will take the time to check it out. I think you’ll find it worth your time. 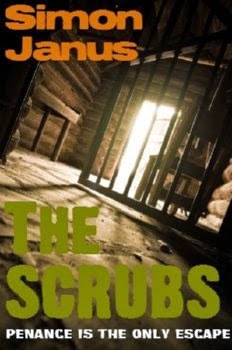 The Scrubs is what people commonly call Wormwood Scrubs prison, located in west London. It’s an unusual name for a prison, but not as unusual as some in Britain. In Manchester, you’ll find Strangeways prison (although, it has been renamed in recent years because of its bad image). I do like how British prisons have weird names whereas American prisons sound like vacation getaways. Pelican Bay. San Quentin. Soledad. It seems like cruel and unusual punishment to be incarcerated in a place that sounds so idyllic, but I digress. 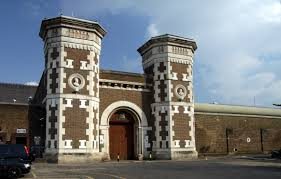 Wormwood Scrubs was built in the Victorian era and is a typical piece of neo-gothic architecture. The prison strongly resembles a fortress in some ways, except it keeps people in and not out. It’s not very big as prisons go. Less than fifteen hundred people call it home. If you ever take a trip on a Central Line train of the London Underground system, you’ll see the prison as you ride through Acton. If anyone has watched the original version of The Italian Job with Michael Caine, the prison he’s released from is Wormwood Scrubs. But any relationship between the real life prison and the one contained within these pages are purely fictional. I took the prison’s name and its location and ignored everything else. Anyway, I stopped thinking about Wormwood Scrubs in terms of a name of a prison and started thinking about what the words meant. This is a habit with me. I think about words we all take for granted and break them down. Too often we take words at face value and forget their meanings. Places were named for a reason, not by chance. So I forgot the prison identity and just wondered about Wormwood scrubs. Wormwood is an herbaceous plant. It’s a key ingredient of absinthe. Wormwood oil is poisonous, considered psychoactive and possibly addictive. Wow, what a herb! The word scrubs bolts on nicely onto wormwood. A scrub area or scrubland is an area of stunted vegetation. I wondered whether Wormwood Scrubs the prison had been built on an area of scrubland covered with wormwood. I liked the concept of a prison built on top of an area covered in a poisonous, psychotropic and addictive plant. It’s just asking for trouble. All we need is a psychotic prisoner with special powers and we’ve got ourselves a story! I have to admit that THE SCRUBS is a guilty pleasure. It started out as a short story but kept getting bigger as I got caught up in creating this alternate universe for this prison and its inmates. And it’s not going to stop here. They’ll be two more installments—SCRUBBERS and SCRUBLAND. There’s just too much fun to be had playing with THE SCRUBS. Besides, someone has to stop Jeter. I hope you agree and you’ll come back for more.